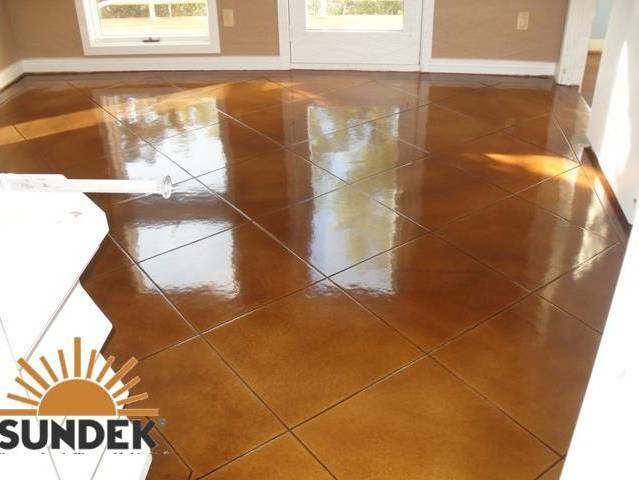 With the growth and popularity of interior decorative concrete flooring increasing Sundek of Austin is continually improving its systems and installation methods to help meet the rising demand. 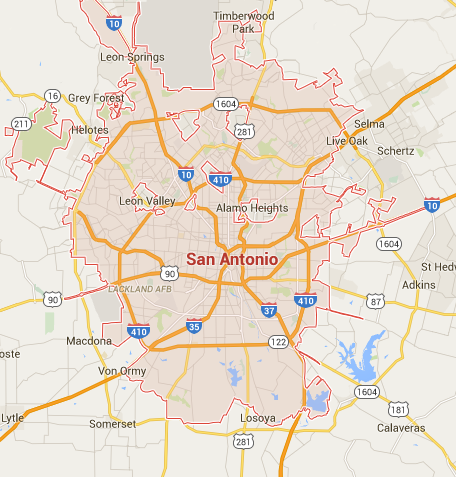 Austin home and business owners are more aware of the features and benefits of a clean, smooth easy to maintain surface like concrete while understanding the pitfalls and disadvantages of musty, dusty and dingy carpeting and hard to clean grout from tile floors. Concrete floors are fast becoming the option for those seeking a new and innovative, clean, allergen free and eco-friendly choice in flooring that is not only beautiful but durable, easy to clean, low maintenance and very versatile. 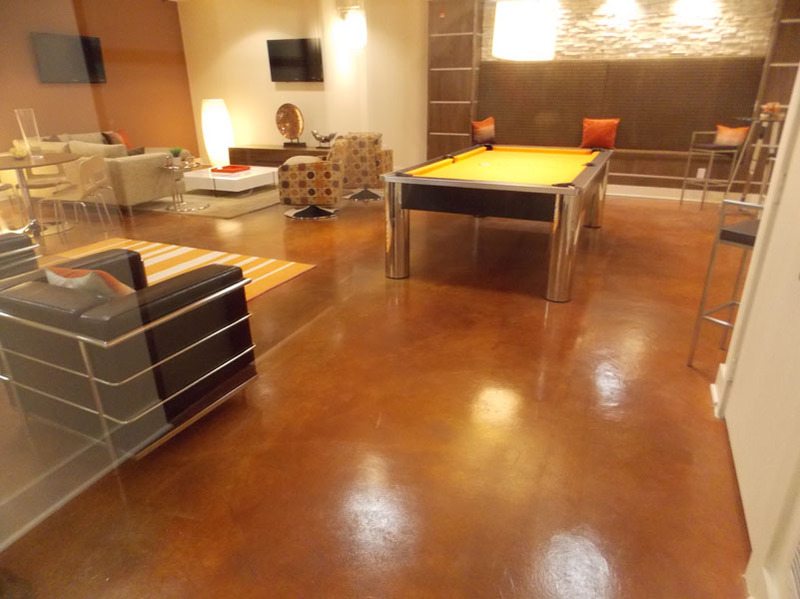 Interior concrete flooring provides a smooth, clean, slip resistant, stain resistant, custom floor option that can be used in both residential and commercial flooring applications. With Sundek’s 40 plus years of concrete coating industry experience in the manufacturing of concrete coatings and decorative products they have developed top quality products that last, along with a support staff that offers quality service that understands the industry. Sundek of Austin is supported by a team of trained and experienced applicators across the nation and beyond this is where we learn and gain valuable insight into the latest and best installation techniques and methods. Please take a look at just a few ways you can use Sundek in your home or business. 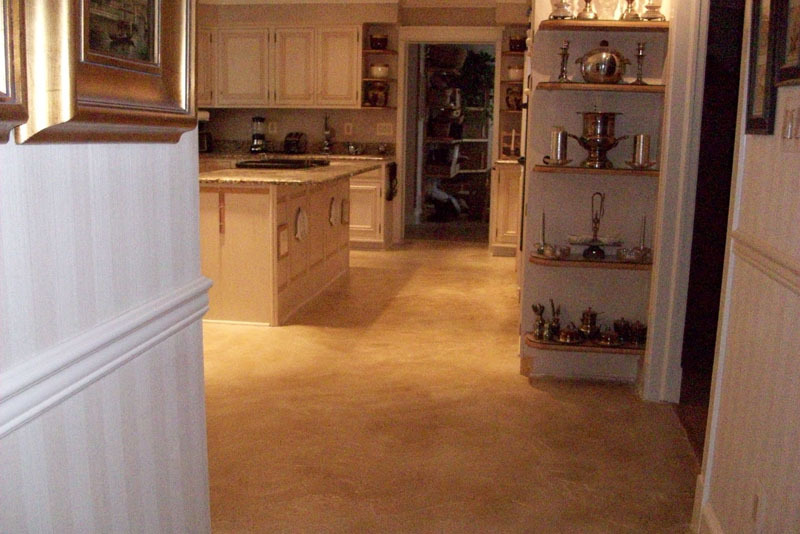 Kitchens, great rooms, living areas & basements done with Sundek products might include SunSain stained concrete applications providing a natural rustic, variegated look or perhaps a stamped concrete finishes that can be made to look like tile, stone, brick or even wood. Contractors, architects, designers, property owners and general contractors around the globe have specified and used Sundek systems again and again because of the integrity of the systems consistent outcomes from using the highest performing floor coatings on the market. From neighborhood retail stores, churches to building lobbies, industrial warehouses to commercial restaurant flooring and schools, Sundek has the system that will suit your needs. Strong, durable, low maintenance, and eco-friendly coatings will offer the best look and design for your specific application. Sundek concrete coatings might include a hand crafted custom overlay like the Tuscan Finish, or perhaps a natural appealing Sunstone finish The limestone coating that looks and feels like real stone is more your style. 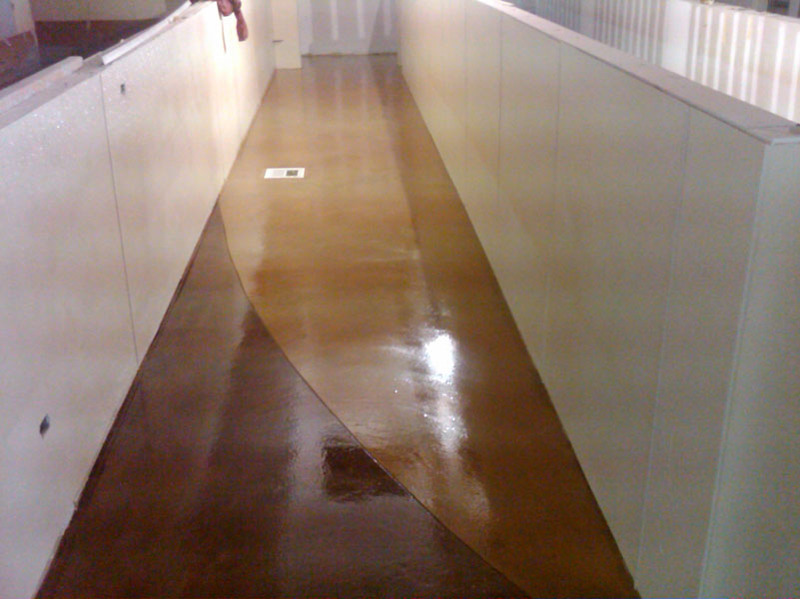 Stained concrete and epoxy floors give you the spectrum of color and function options for your high-traffic, high-visibility projects. 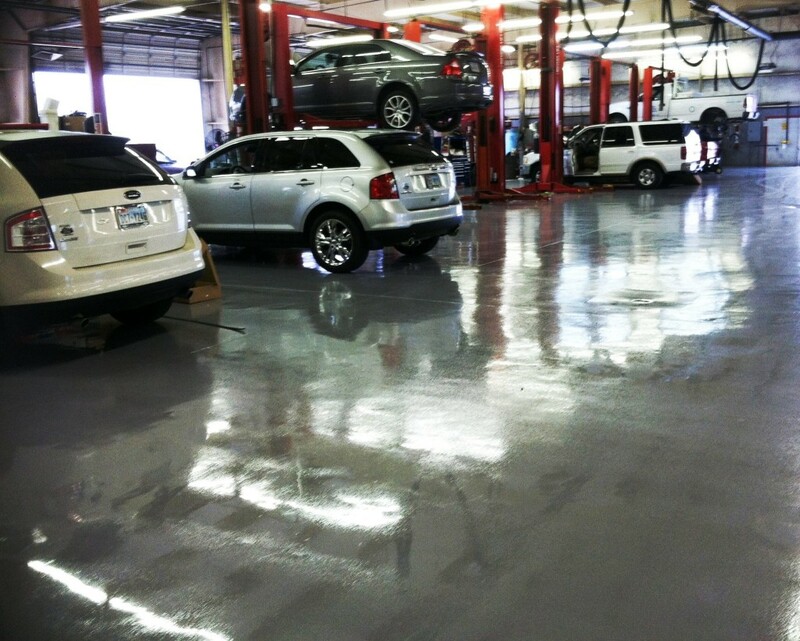 Industrial floors take a beating from both vehicular traffic, heavy machinery and chemicals. They are in need of epoxy or polyaspartic resinous floor coatings that can stand up to everything from jet fuel to hot tire pick-up. 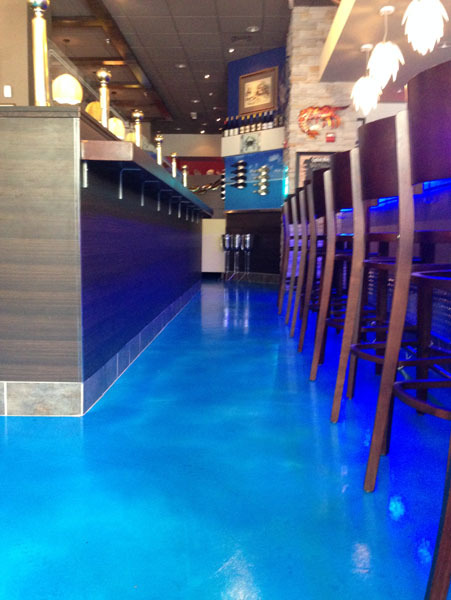 Restaurant floors and retail spaces have very unique requirements. Branding and decor are often a high priority but without sacrificing durability. Sundek can provide a wide range of flooring options to choose from. From a clean contemporary and refined look to a loud colorful themed setting or a simple rustic decor. 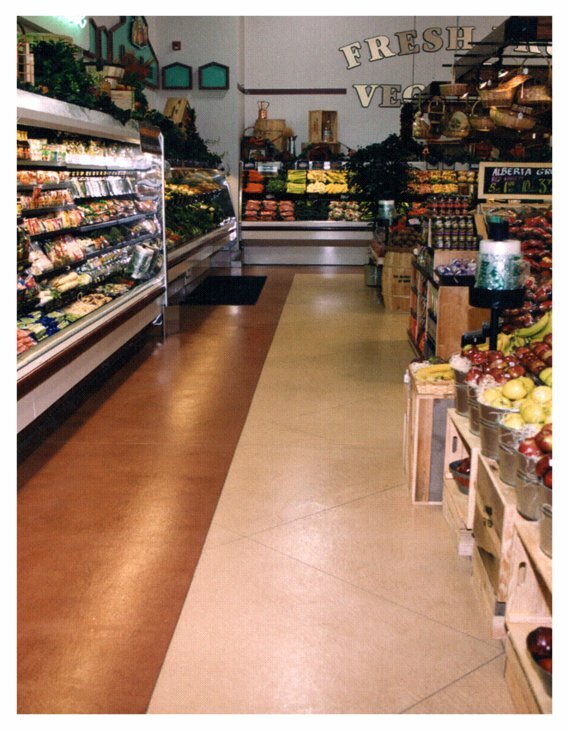 We all know heavy foot traffic and food spills are common in commercial spaces and Sundek commercial floor system will provide maximum durability and ease of repair if necessary. 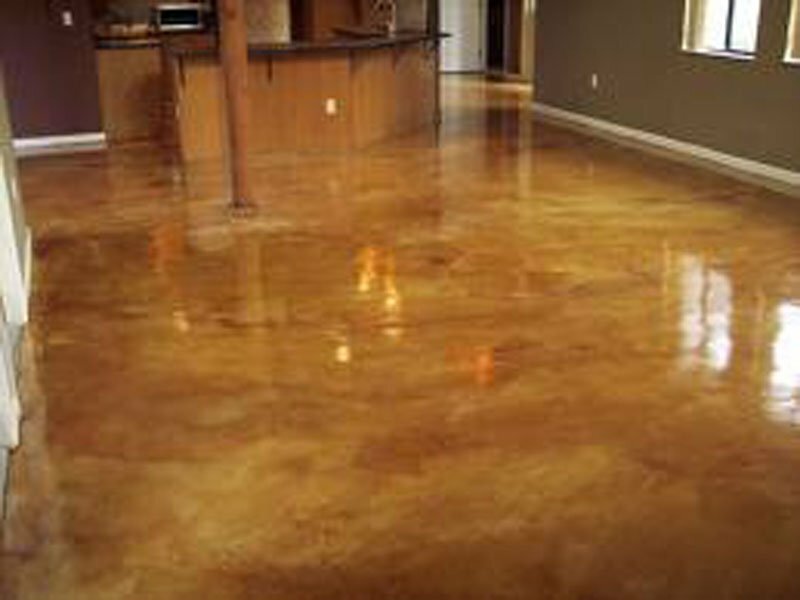 Why live in a home with a dirty, dingy, oil stained concrete floor? 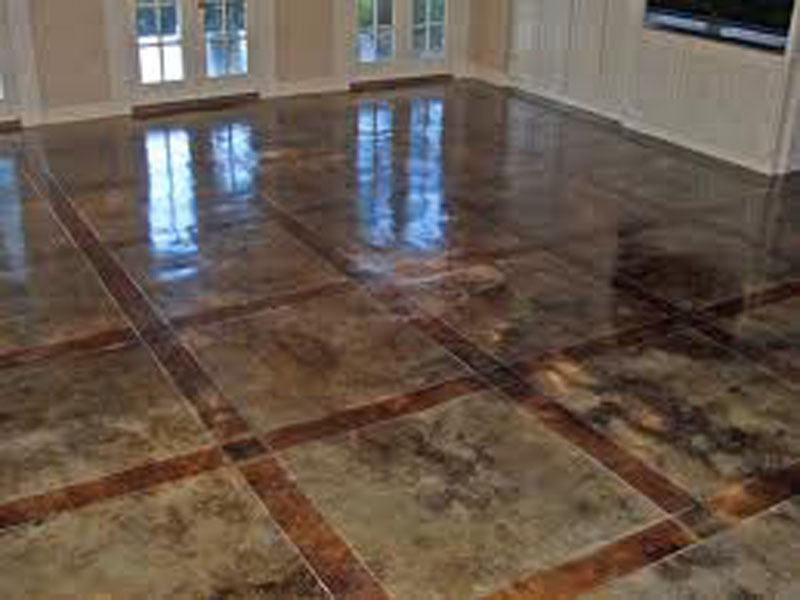 How about a home with a beautiful clean garage floor coating? A dusty, dirty, cracked and soiled garage floor can be uninspiring and uninviting to use. Did you know you could feel totally comfortable walking into your garage with bare feet, and coming out just as clean as when they went in! This is the idea behind an epoxy garage floor. Sundek of Austin offers a range of coatings that can transform your garage into your new favorite new room in your house. From a simple epoxy paint to a completely commercial grade epoxy color-flake floor system, we have the products and the installation know how to turn your dirty dusty garage into a clean place you will be proud to park your car. Don’t forget we also have commercial garage floor epoxy systems for auto repair shops, industrial spaces and high end showrooms. SUNDEK decorative concrete artisans have been beautifying the concrete the world stands on since 1970. Now we are using advanced technology to transform vertical surfaces that stand before you into your own personal work of art. So when you call on your local SUNDEK dealer to revitalize that pool deck, patio, driveway, living room, lobby or garage floor…Take a good look around at interior and exterior vertical surfaces and soon enough your walls could be doing the talking.